The mid-season break is upon us already, four weeks without Formula One action to keep us entertained. How will you get your F1 fix? You might be frantically rewatching the 2014 races so far, storing them on your set top box to stave off the racing cravings. Or you could be like us at Sidepodcast HQ, glad of the break and a chance to catch our breath. Whichever you are, you might find this list of things to do to fill your time useful. From grandiose track-walking ambitions, to cosy fireside motorsport crafts, there's something for everyone. 1. Visit your nearest race track. The first, and most obvious, way to get your motorsport fix is to go and watch some motorsport. It may not be Formula One, but there is likely to be something going on at a track near you wherever you are in the world. Maybe it's an actual F1 host circuit, or maybe it's a local track, but head on over there and cheer on some cars/bikes/karts/runners! 2. Read a book. There are lots of motorsport related books out there, written about the sport from the outside looking in, or from those who have actively participated in the crazy world of F1. I'd be missing a huge opportunity not to plug my own writings here, but search for F1 in Amazon and a wealth of choice presents itself to you. We've also reviewed a handful of them, if you need help narrowing down your selection. 3. Take a midseason review of your pre-season predictions. Although we didn't manage to put together a podcast of our pre-2014 forecasts, there were still plenty of submissions via the written word. As we're just over the halfway point in the season, and have come to a natural break, it's a good time to look back at how well you did when predicting what was to come. 4. Spot your nearest F1 driver. I'm not suggesting a sudden interest in stalking here, but the drivers do head out and train a lot, they often share photos of their whereabouts and it might be fun to try and narrow down where they're at and what they're doing. Also keep an eye on the airports - they may not be travelling to races but they'll be dipping in and out of their F1 bases, their homes and of course, on holiday. If they are on vacation, sunning themselves on a beach somewhere, then leave them to it. It's hard life, they deserve the break! 5. Master an F1 game. Lukeh recently shared with us a great preview of what is to be expected from the new Codemasters game, but there are plenty out there already. I, for one, am absolutely hopeless at racing games, but all it needs is a bit of patience and practice. The summer break is the perfect time to immerse yourself in a motorsport gaming career, learn those braking points, and get to the top of the tree before the real action begins again. 6. Go karting. If you prefer your motorsport experiences more realistic than virtual, why not head to a track and get behind the wheel? Davin has been sharing his experiences with us this year, including gaining some great sponsorship, but if you are a beginner, there's lots to learn and now's a great time to start. 7. Bake an F1 cake. Every single race weekend that passes by, we are constantly on the alert ready for the next update in Cake Watch. It's a busy paddock, and there's always an anniversary or birthday to be celebrated with some glorious sugary treats. If you're missing that side of the F1 race weekends, why not try your hand at baking your own? Chequered flag angel cakes or a Super Sutil sponge, share your masterpieces with those willing to taste! 8. Buy a piece of team merchandise. If you're anything like me, you covet at least one thing from one of the team's online stores. I can usually convince myself not to buy because I don't want it to be an impulse purchase. But hey, it's the summer break, you're feeling low, why not treat yourself? And you have the time and space to research the options, compare the alternatives and make a good informed buying decision. 9. Watch a motorsport movie. The racing offerings in the movie department were take it or leave it up until recently, but with the addition of the heralded documentary Senna and the blockbuster hit Rush, there's a little bit more to choose from. Classics include Days of Thunder and Grand Prix and many are available digitally as well as via those shiny round DVD things. We've watched a handful of them via Sidepodfilmclub, too. Perhaps we can organise another of those to while away these summer days. 10. Volunteer as a marshal. We marvel at those orange besuited individuals doing brave things on screen, but you could be one of them! The UK-based Go Motorsport site has heaps of information about how to get involved, do something worthy, help out other people, and get to see loads of motorsport in the process! 11. Drive the Nürburgring. 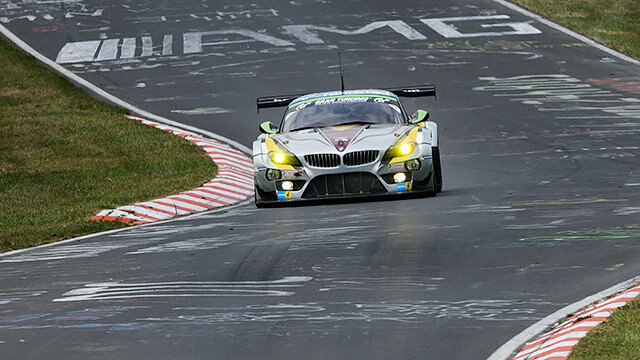 That fearsome full-length circuit continues to dominate motorsport thoughts in Germany, and you can have a go at driving it yourself - in your own car if you want! See how you compare to the greats as you round the terrifying banking, and put your foot down as you attempt to beat the car behind you. If you've ever thought about having a go, why not take the plunge? 12. Memorise all 32 World Champions, in order. There are a lot of train-your-brain memory games out there, but why not try your hand at an F1-focused one? There have been 32 World Champions since the inception of the F1 championship, each with their own unique story. Remembering them, and the order in which they ascended to the title, will give you something to do to while away the hours before the racing returns. 13. Design your own track. We are constantly criticising the new circuit layouts that don't seem to vary, and don't necessarily deliver the best F1 races we've ever seen (this year excepted). Perhaps it's time to put pen to paper and create your own track, the perfect emodiment of what you look for in a racing circuit. It doesn't even have to be a drawing, get arty and make a model of it, or layout the basic design using sticks outside or tracing a pattern in sand. And don't forget to share the results! 14. Attend the final day of Formula E testing at Donington Park. It's not quite Formula One, although there are so many familiar names involved, you'd be forgiven for getting confused. The last day of FE testing takes place at Donington Park on 19th August, and you can still apply if you're interested in attending. 15. Play an F1 board game. We've covered designing your own tracks, or playing virtually on existing ones, but if you can source one of the excellent F1 board games, why not get involved with their unique take on things? I recently indulged in just such an activity and it was a complete blast. The strategy of genuine F1 really came to life and I was actually quite disappointed to finish second on the podium! If you can't find a motorsport board game, why not design your own? 16. Try watching a new series or genre of motorsport. Formula E may not be your thing, but perhaps it's been a while since you checked out what other series' have to offer. F1 is on its summer holidays, but other racing is still ongoing, and there are lots of replays and highlights available on various broadcasting channels. Take a look at a junior formula, or spread your wings to stock cars or sports cars, and report back what you find! 17. Visit the old banking at Monza. You may not fancy driving around an existing piece of F1's history, but you can always visit on foot and let the nostalgia wash over you. Monza's historic banking always seems to have a significant effect on those that see it, so if you're nearby, or fancy a quick trip to Italy, it has to be high up on your to-do list. 18. Stop by Mercedes-Benz World. If you're in the UK and Italy is a little bit out of your price range, a trip to the Mercedes centre on the old Brooklands track could be more manageable. They have free events, and a calendar stacked full of goodies. We've heard of nothing but Mercedes for the entire year so far, why should the summer break be any different? 19. Start your own training regime. Dreaming of becoming a world famous F1 racer one day? Maybe you've missed the boat, or maybe there's still time, but either way, it's never too late to start training! 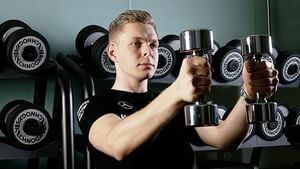 Follow in your favourite driver's footsteps and get on the bikes, down the gym, or in the pool, although maybe take it a bit easier than they do - particularly if it's your first time! 200 km on the bike is just showing off. 20. Host an F1 quiz. Motorsport fans love a good quiz, testing their knowledge against others and seeing just what kind of crazy nuggets of trivia they have stored away upstairs. Why not scribble down a few questions, gather some friends on-or-offline and start testing each other? You only need five or ten questions apiece and you've got the start of some exceptional fun and games! 21. Take time to actually read the regulations. If, on the other hand, you're not sure your trivia is up to scratch just yet, perhaps it's time to do some studying. It may sound like a dull activity on paper, but actually spending some time to peruse the F1 regulations can be very beneficial. I'll hold my hands up and say the technical regs are far beyond my means, but having read the sporting rules a couple of times, I feel much happier in my knowledge of what's supposed to happen. Not that the FIA always stick to them, of course. 22. Visit the Red Bull Air Race. Again, this isn't technically F1 related, but it is a Red Bull event and it's a fantastic spectacle. 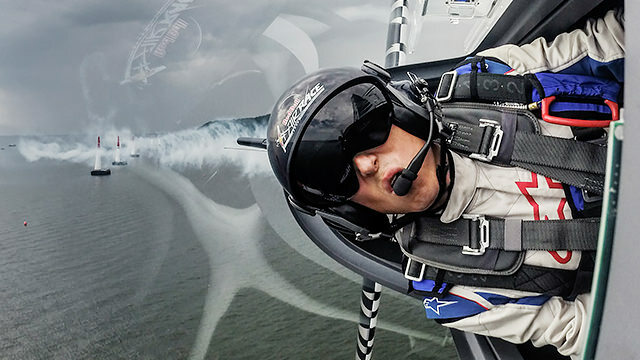 The incredible aerobatic race will be in the UK, over the Ascot racetrack on the 16th and 17th August with some impressive moves ready to display and a tricky course to be navigated. 23. Organise your F1 photos. If you've been to a motorsport related event over the past few months, I hope you managed to take a selection of good photographs. Now is the perfect time to get them downloaded, backed up, and perhaps even edit a couple to make them even better. Organising my photos is always the last thing on the list and it often gets missed, but with several weeks still to fill, there hasn't been a better time to get admin tasks like this done. Remember, once you've got them in order, share them in the comments so we can all enjoy them! 24. Write a post for Sidepodcast. You know we love to hear from you, we encourage writing and posts of all kinds here on Sidepodcast. There have been some fantastic writers over the course of the site's history, and I hope there is still room for a couple more. As always, if you only have a glimpse of an idea, or if you're struggling to think of a topic, get in touch! We can help out with concepts, with writing, with pretty much everything. That's what we're here for. 25. Prepare for Belgium! If none of the above have grabbed your attention, and you just can't wait for the racing to begin again, then start your preparations early. If you're lucky enough to be going to the race, start thinking about what you're going to pack and take with you (likely sunglasses, flip flops, umbrella and wellies). If you're watching at home, make sure you're up to date on what to expect from the race, and perhaps revisit previous races to get a grasp on the history of the track. We're all looking forward to see what the Belgian Grand Prix has in store but that doesn't mean the next few weeks have to be painful! Let us know what you're up to and how you're whiling away the hours until Formula One returns, and keep in touch if you do go on any of the above adventures!